This year’s Fall Mini Camp on Cowper was a great success. 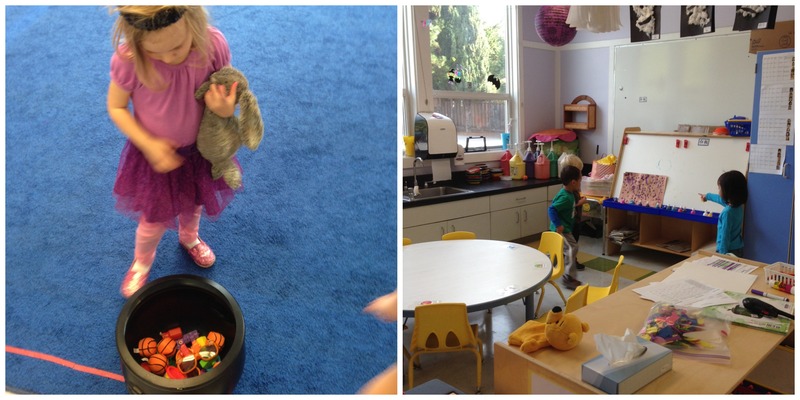 Here are a few highlights from our week! On the first day of Mini Camp, students were very excited to see their friends. They were also eager to make new friends, as they would spend the week with students from different classes at ISTP. The first day of this session of Mini Camp featured a treasure hunt. Nursery searched their classrooms for goodies and toys that had been hidden. They each collected their items and placed them into a communal basket. Once all the items were found they were able to pick items to take home and share with their families. 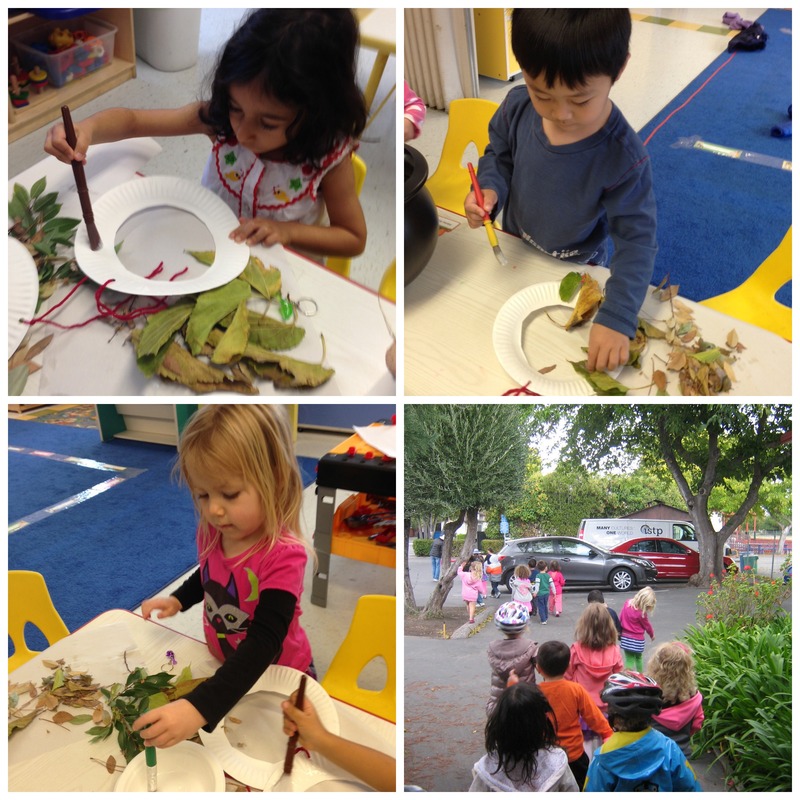 The Pre-K and Kindergarteners enjoyed their treasure hunt in their respective yards, working together to find all the hidden treasure. It was a really great day! 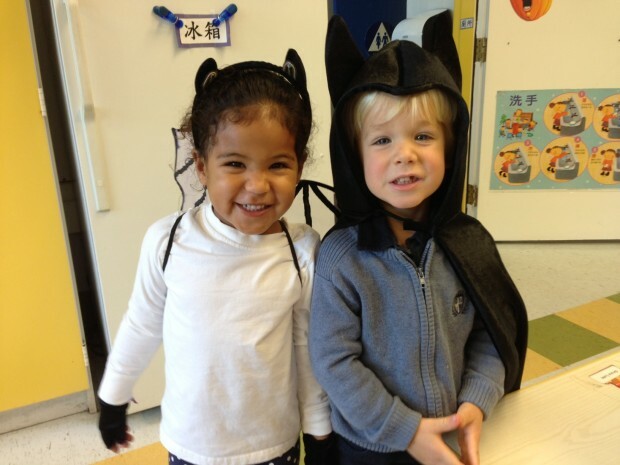 Wednesday, October 30th: Decorate Cowper! Today, classes worked on "spooky" art projects to display in their classrooms and around Cowper. 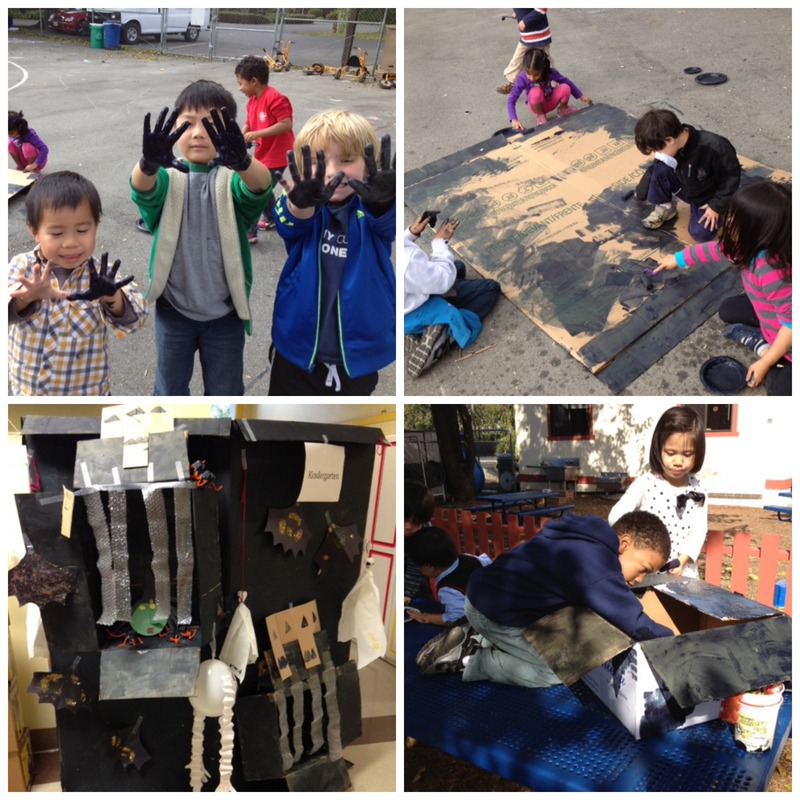 They even painted large cardboard boxes black to create "haunted houses." Together, the classes created hanging ghosts, paper bag pumpkins, spiders, balloon skeletons, and much more! The children hoped to spook some parents and family members at pick up time with their creative decor. Today everyone was excited for Halloween! It was a day to appreciate all that is sweet and savory. Each class made a dish to share with the other classes for a Halloween potluck. Nursery and Pre-K made pizza and Kindergarten made egg and dairy free cupcakes as well as pizza. Today was extra special, as campers were able to bring in their bike, scooter, or other wheeled transportation, with a helmet, to use during outside play. The last day of Mini Camp also featured carnival games, face painting, popcorn, and hot dogs. Overall, it was a very successful week, filled with creativity, learning, and fun.